We Care for Kids Dental, Inc. is a small practice, creating a personalized treatment experience for each patient we see. Dr. Leslie Olton and Dr. Michelle Daniels are general dentists, working with infants, toddlers, children and teens to create happy, healthy smiles that last into adulthood! We take the time to explain every procedure with each child and parent, so there are never any surprises. We want your child’s experience to be as educational and free of intimidation as possible. 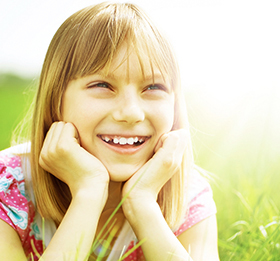 Our practice has been designed specifically with our young patients in mind. Kids of all ages will love our jungle theme and feel comfortable in our open and airy treatment room. In addition to being focused on the importance of good dental health, we also want to have a little fun. Kids are given sunglasses to wear during the appointment and leave with a goodie bag full of prizes after a job well done! Please feel free to contact our office to schedule your child’s next dental exam. We’re always welcoming new patients into our dental family. Call today!